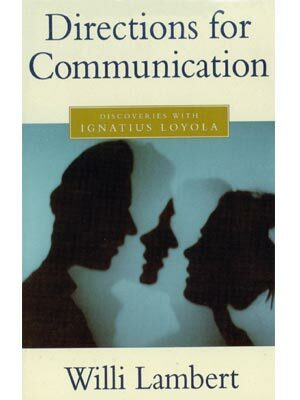 If you want to embarass a Jesuit, you need only ask for specifics on Ignatius’s communication skills. -From the book Ignatius integrated in his life two basic approaches that every human being strives to achieve: he practiced the art of living in the external world, and at the same time he walked an inner journey with God along the path of the spiritual. Recently named “The Saintly Boss,” by The New York Times for “his gifts of flexibility, a concern for the inner as well as the organizational life of those he led and a genuine heartfelt connection to those under his charge,” Ignatius Loyola, founder of the Jesuits and author of the Spiritual Exercise, developed a wonderful but little known framework for good communication. Willi Lambert’s study of the life and writings of St. Ignatius indicated that the integration of management and spirituality was not a casual matter for Ignatius, but rather an “experienced reality” that was grounded in his approach to life. The book yields a fruitful and fascinating model of communication for people of all walks of life, and offers both practical and deeply spiritual insights into the art of communicating with oneself, with others and with God. Willi Lambert, S.J. was Spiritual Director of the Pontifical German College in Rome and is currently Spiritual Director of the Community of Christian Life in Germany.